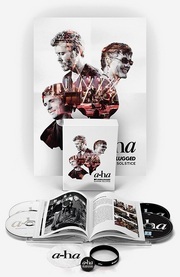 The CD version of Ending On A High Note – The Final Concert has entered the official German album chart at #3, which is an impressive result for a live album. In Norway it entered the album chart at #6, before climbing up to #3 this week. Other first-week chart entries include #21 in Poland, #61 in Austria and #72 in the Netherlands. The DVD entered the German music DVD chart at #1. In Sweden it entered the music DVD chart at #3, before dropping to #6. Despite the two missing songs, the DVD/Blu-ray features a brilliant production. High quality filming and audio all the way, which can really be experienced in full on the Blu-ray disc. And although there’s not much bonus material, the 15-minute documentary is a nice addition. In Norway, the reviews have been quite good. The newspapers VG, Dagbladet, Bergensavisen, Østlandets Blad and Romerikes Blad all give Ending On A High Note 5 out of 6. Trønder-Avisa even gives it 6 out of 6. In the UK, Ending On A High Note will be released on April 25th. 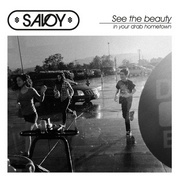 The four available versions can be pre-ordered from amazon.co.uk through the links on the left. And remember that all sales help support this site. 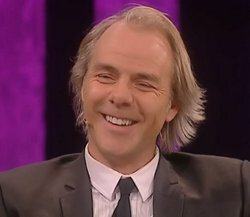 The Norwegian director Harald Zwart, who has made movies such as One Night at McCool’s and The Karate Kid, was the main guest on the talkshow Litt Av Et Liv on NRK1 tonight. 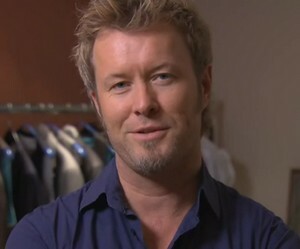 a-ha fans also know him as the director of the “Velvet” and “Forever Not Yours” music videos. “Hi Harald. Congratulations on all your amazing success. In many ways you are the film industry’s equivalent to a-ha; a Norwegian with success abroad. You are also similar to us in that you just keep getting better and better with time. So I’m happy to see that you are succeeding, which I never really doubted you would. We have worked together on a few occasions, we have been to Cuba together and you have also made what is possibly a-ha’s most controversial music video…in a freezing morgue in Hamburg. And each time we have worked with you has been a very enjoyable experience. Litt Av Et Liv can be seen on NRK’s web-TV here (only available for viewing within Norway). 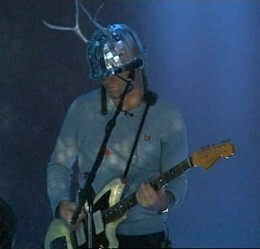 Magne performing inside the cube in Berlin. Apparatjik wrapped up their project at the Neue Nationalgalerie in Berlin with two performances on March 26th and 27th. The culture programme Nasjonalgalleriet on NRK2 in Norway had a report about Apparatjik’s Berlin project in tonight’s broadcast, with comments from all four band members and the director of the gallery. The report can be seen on NRK’s web-TV. For more footage from Berlin, check out two videos on vimeo.com here and here, plus a German TV-report from RBB on YouTube here. Apparatjik also appeared on NRK1 last week, in a documentary about the small village of Flø, where they performed as part of the “Go with the Flø”-festival in June last year. The documentary can be seen here. Magne and Apparatjik appear between 5:20 – 6:00 minutes and 22:00 – 27:30 minutes. Apparatjik’s latest single “Combat Disco Music” is now available on iTunes and in the Apparatjik online store. Morten appeared on the Norwegian/Swedish talkshow Skavlan last night. He was the first guest and sat through the whole hour. Other guests on the talkshow, which was taped in Stockholm on Thursday, were Arja Saijonmaa, David Garrett, Lykke Li and Yusuf Islam. 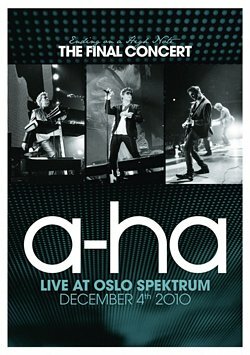 The interview centred around a-ha memories, like the Maracana concert in 1991, life as a celebrity and his knowledge as a teenager that he would one day become a international singer. The whole interview can be seen on SVT’s web-TV here. It’s also available on NRK’s web-TV here.